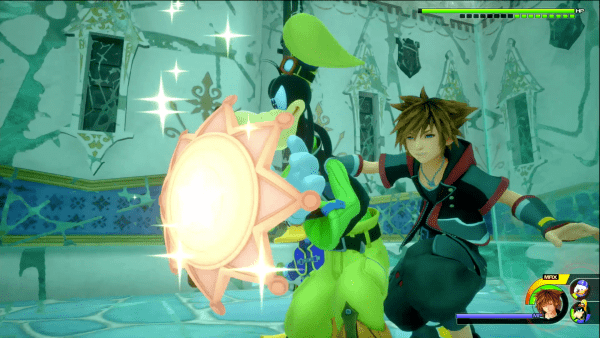 A complete walkthrough of Scala Ad Caelum in Kingdom Hearts 3, including obtainable equipment, and items, and Master Xehanort final boss guide. 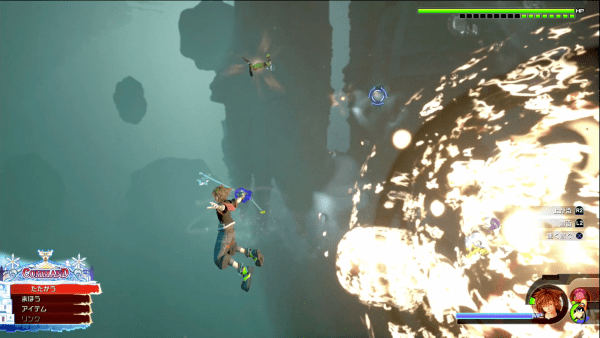 The Mysterious Enemies are encountered floating in the air. They can perform a group attack, though it doesn’t do very much damage and is easy to punish with a counterattack. Make short work of them with combos and Retaliating Slash. You can also guard against their attacks if you time it correctly. Be mindful of surrounding enemies even when focusing on one of them. Always be ready to perform a counterattack after guarding. Bear in mind that you do not need to focus on taking down one enemy before the other as the group shares one HP bar. 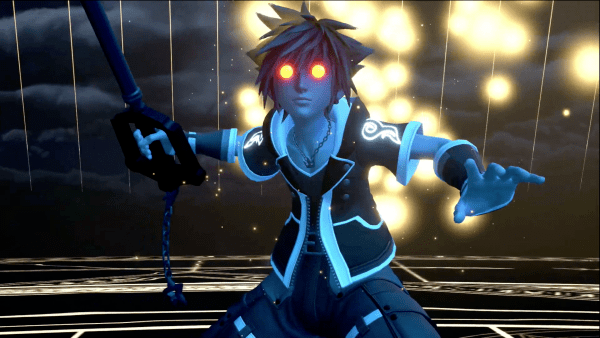 After defeating the Mysterious Enemies, you will then take on Armored Xehanort. Armored Xehanort likes to close the gap quickly and do combos, even at the beginning of the fight. Do not engage him head-on recklessly as his attacks hit very hard. He also casts Fire magic from mid to long range, so be prepared to guard and evade at any distance from him. If you try to dodge his rush attack, you will most likely get clipped by the succeeding hits of the combo, especially when his blade is red. Time Armored Xehanort’s combo with Guard. Try catching the last hit of the boss’ combo to stagger him and retaliate with your own attacks. 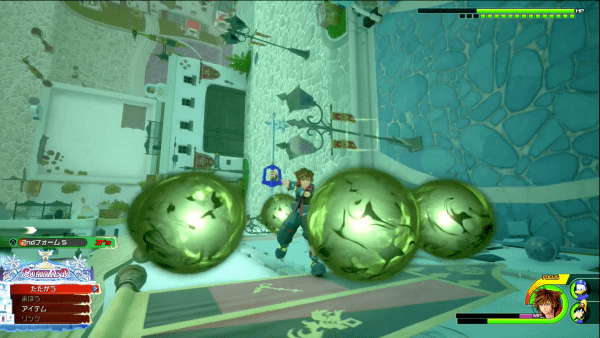 Armored Xehanort will sometimes summon green orbs around you that will explode after a period of time. 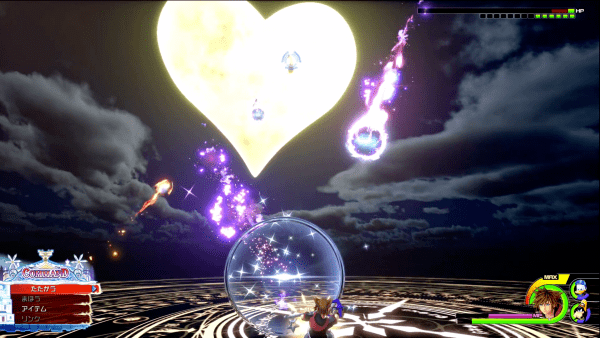 If you get hit by the blast, the boss will follow-up with another devastating attack that can easily take you out. A well-timed dodge when the orbs explode allows you to avoid taking damage. 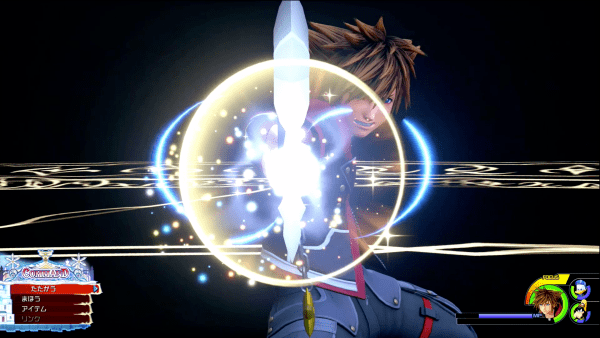 Trinity Rush is a three-person attack that Sora can unleash with Donald and Goofy. During the move, you will be safe from incoming damage for a brief period. 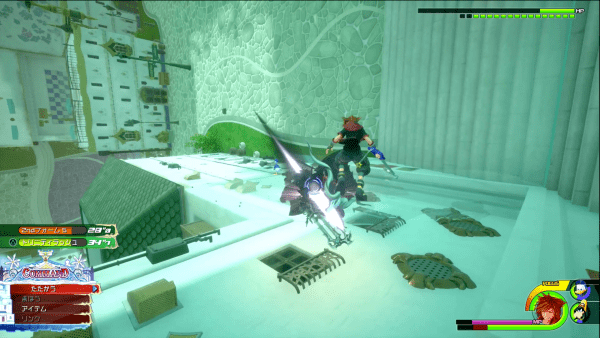 This allows you to attack Armored Xehanort while avoiding damage at the same time. This works well if you haven’t recovered enough MP to use a healing spell yet to survive the fight. 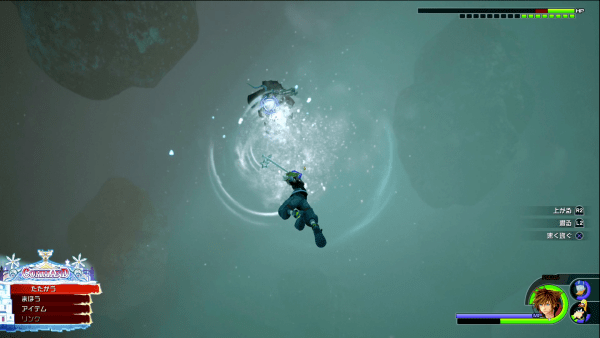 When you’ve depleted 9 of Armored Xehanort’s HP gauges, the battle will shift underwater. Armored Xehanort’s attacks will become slightly slower since he is now undewater. If you catch him in a combo, be sure to unleash Attraction Flows and finishing attacks on him. 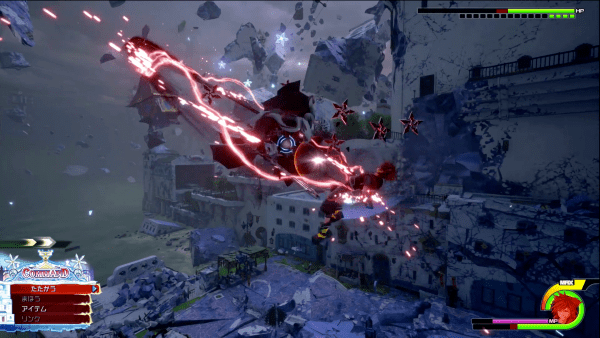 Xehanort will also use a long-range explosion attack. If you try to immediately dodge it, you will still get caught in the blast. You can avoid getting hit by swimming away from the explosion instead. 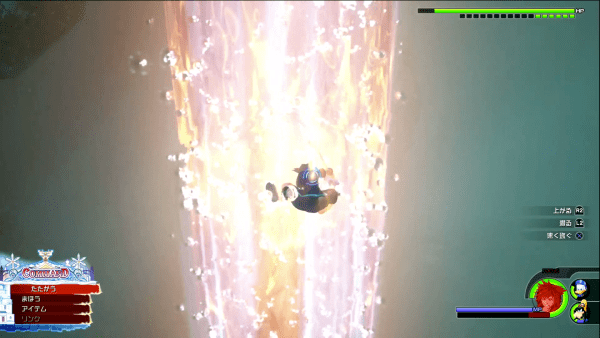 Xehanort will position himself far away to perform a fire pillar attack. Immediately afterward, the boss will come rushing to you to perform a follow-up assault. 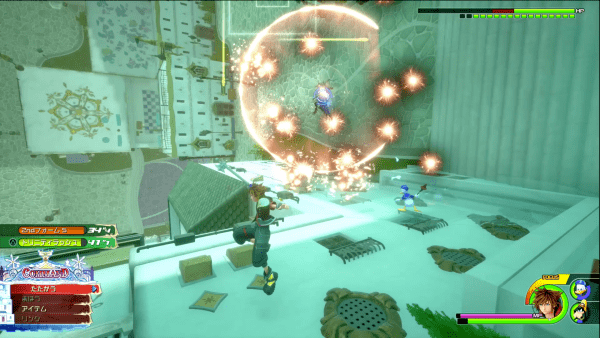 The rush attack is quite difficult to avoid as you will lose your lock on Xehanort when comes rushing to you after he summons the pillar. Quickly tap the lock-on button and wait for Xehanort’s attack. 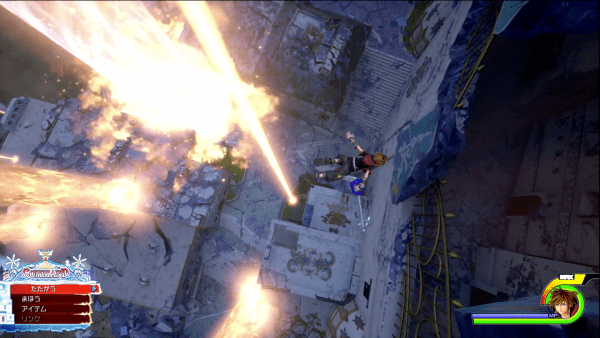 After casting fire pillars a few times, the boss will produce a wall of explosives that can be evaded with a well-timed dodge. When you reduce Armored Xehanort’s HP to four bars, the battle in the air will commence. Stay alert of the same rush attacks that you can guard and answer back. The difference in elevation makes melee attacks very effective in this phase of the fight. 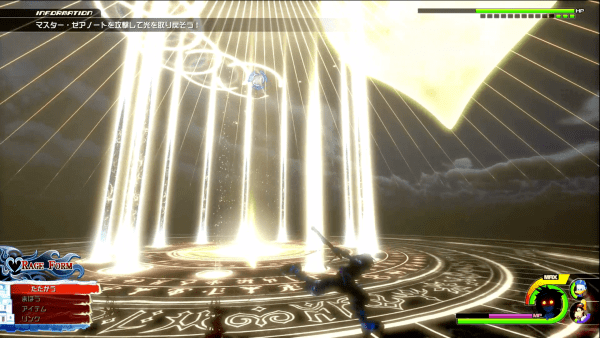 Xehanort will summon fire pillars that appear on random parts of the battlefield. However, you can easily spot where they will spawn by looking at the ground. The boss will then position himself inside one of the pillars to fire a spray of fiery bullets at you. 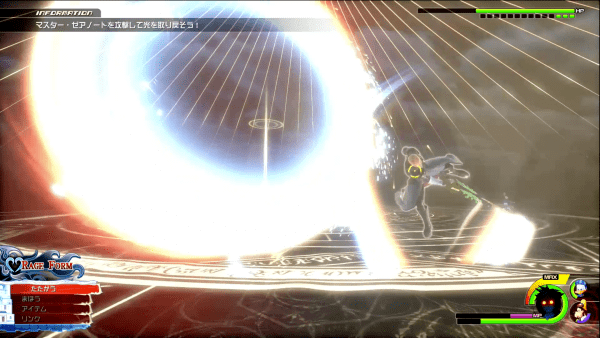 After firing three times, Xehanort will perform a rush attack that you must guard against. Xehanort will often emerge out of a keyhole to slash at you, usually four times in a row. This means that you should be careful of immediately going for a counterattack as he can teleport and retaliate. A well-timed guard prevents you from taking damage. The best time to attack him is after he finishes performing the four consecutive teleport strikes. 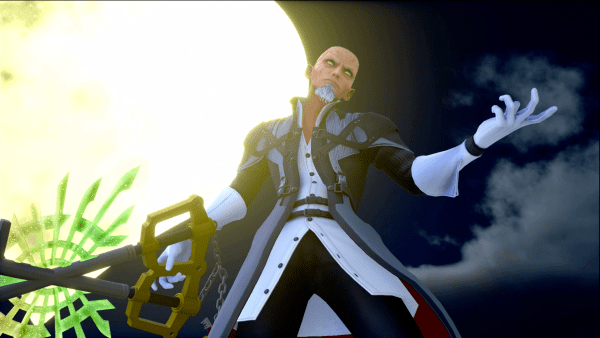 Xehanort will throw the X-blade into the sky to cast Blizzaga. Run away from where the pillars of ice descend and be prepared to dodge or jump over a circular ring that will enclose the area where the pillars descended. When Xehanort reemerges after the attack, unload on him to further reduce his HP. 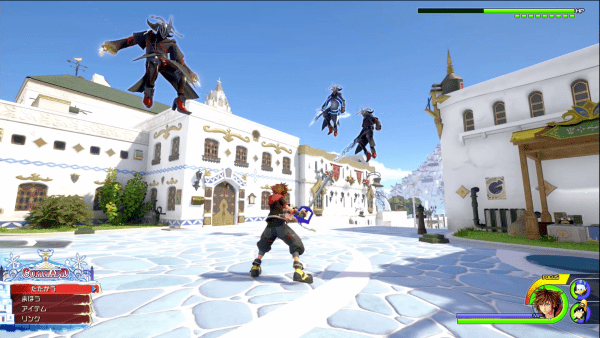 When Xehanort shoots magic down from the sky, be prepared to guard. There will be a number of these projectiles that are very hard to dodge so it is safer to perform a long press of guard to take as little damage as possible from these attacks. 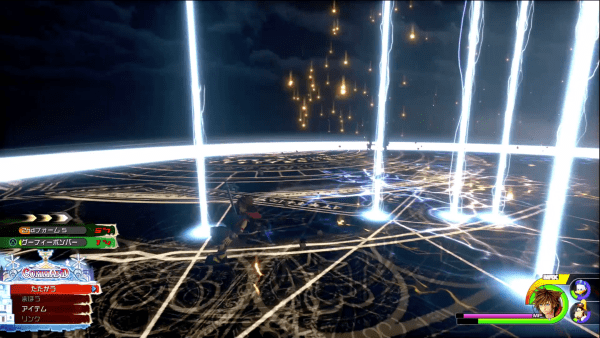 Xehanort will be able to perform a series of up to 6 teleport strikes during the second phase. As with the first phase, time your guard when he does these and attack after he finishes with the last strike. You will be forced into Rage Form as you near the end of the fight which prevents you from guarding, casting magic, or using items. Donald will be your only source of healing here. You will have to time dodge very well to avoid taking any damage at this point. 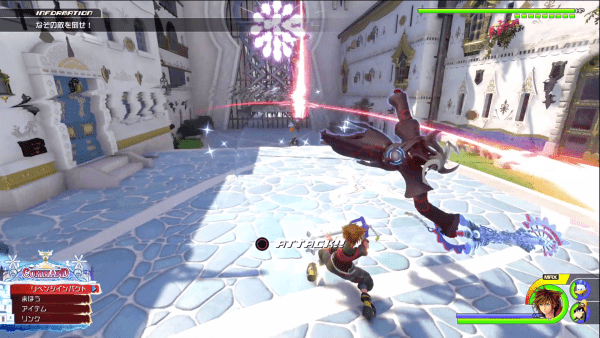 Focus on evading Xehanort’s attacks and retaliate only after he recovers from his teleport strikes. You will regain your light after keeping up with the boss for a certain period of time by unleashing the Return to Light situation command. The pillars of light rotate outward from the center. 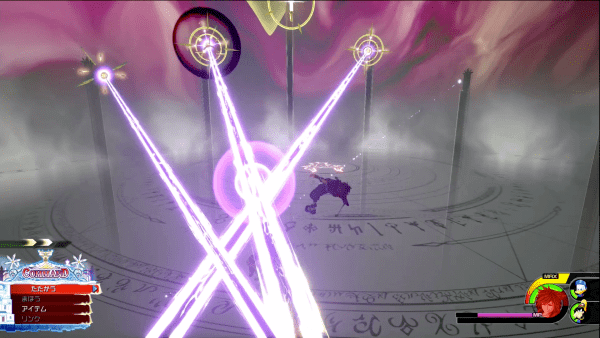 Although you may try to anticipate the movement of the pillars, Xehanort himself will continue his assault, making it hard to avoid them. To minimize the chances of getting damaged, try to stay at the outermost part of the battlefield as much as possible. 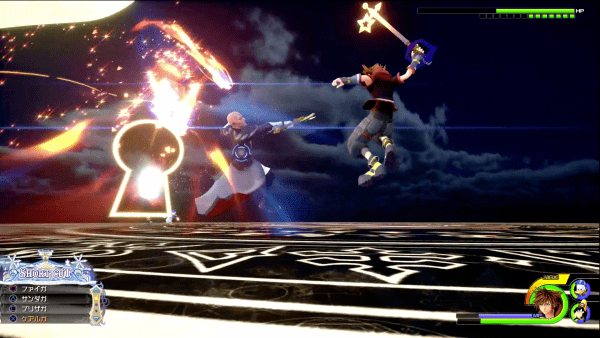 Xehanort’s fiercest assault has him sending multiple shadows of himself to combo you from all directions while his other copies blast the battlefield with multiple magic rays. Focus on guarding and evading the attacks in this phase. Do not even bother attacking here. When you manage to reduce Xehanort’s HP to only a sliver, a situation command called Last Ray will be available. Use it to finish off the game’s final boss and watch the ending.